Tanner, C., Maher, J. and Fraser, S. (2013). It has become something of a cliché that Western culture is obsessed with celebrity, glamour, and the opportunities ordinary people are now given (reality television, social networking sites, blogging) to become famous. These new engagements between fame and obscurity have been accompanied by energetic debates about the self, image and vanity. Similar debates are also underway in a domain apparently quite different from this digital realm – the corporeal domain of health, fitness, beauty and anti-ageing. Vanity, it seems, can account for both our least and most bodily modes of making the self. Despite these growing areas of debate, little or no sociological or cultural studies research on vanity has been conducted to date. This book sets out to remedy this. Exploring a range of sites of social and cultural production – from Helen Mirren’s red bikini to The Biggest Loser reality weight loss show, from suffragists to Viagra, from anti-ageing medicine to Facebook – the book takes an engaging, sophisticated and wide-ranging look at new ideas and practices of vanity. How are contemporary subjects to cope with concurrent pressures both towards self-absorption and away from it? 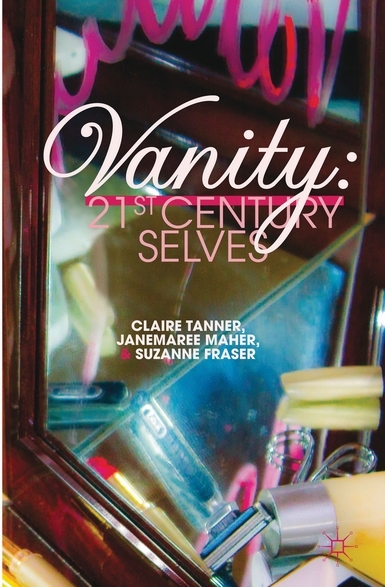 Taking an explicitly gendered approach to these questions, Vanity: 21st Century Selves conducts a broad analysis of a key concept shaping contemporary Western societies and their ways of understanding the self.